While we do not perform surgery here at Valley Eyecare & Eyewear Gallery, we are happy to connect you to the correct surgeon. 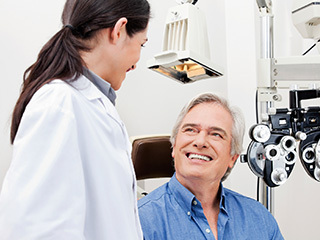 Often, optometrists and ophthalmologists will work together to provide complete eye care for a patient. Refractive and Cataract: These are the surgeons that sharpen your vision with surgical means, whether it is replacing cloudy lenses in your eyes with perfectly clear artificial ones or by reshaping your coneas. Glaucoma: This specialty concentrates on surgical treatment of glaucoma and other age related vision disorders that can create optic nerve damage through increased ocular pressure. Vitreoretinal Diseases: Medical and surgical treatment of diseases affecting the retina and vitreous are the focus of this specialty. They treat vitreoretinal diseases through using such procedures as laser therapy, cryotherapy, retinal detachment repair and vitrectomy.